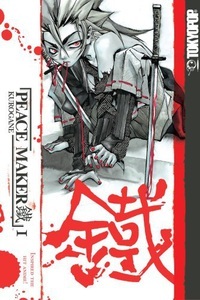 The sword-slashing sequel to Peace Maker is here! Three months have passed since the Ikedaya Incident that crushed the anti-shogunate rebellion - and propelled the Shinsengumi, Kyoto's now-official police, into history as Kyoto's premium peacekeeping force. But there is no rest for the peaceful. An unexpected threat to the Shinsengumi arises, and it's going to take more than mere swords to defeat this new terror on the horizon.